OXNARD, Calif. -- An Oxnard resident made a startling discovery as she walked along Silver Strand Beach Thursday afternoon. She found a venomous snake along the shore. It ended up washing back into the water, but not before she snapped a photo of it. Another person reported seeing the snake along the shore Friday morning. 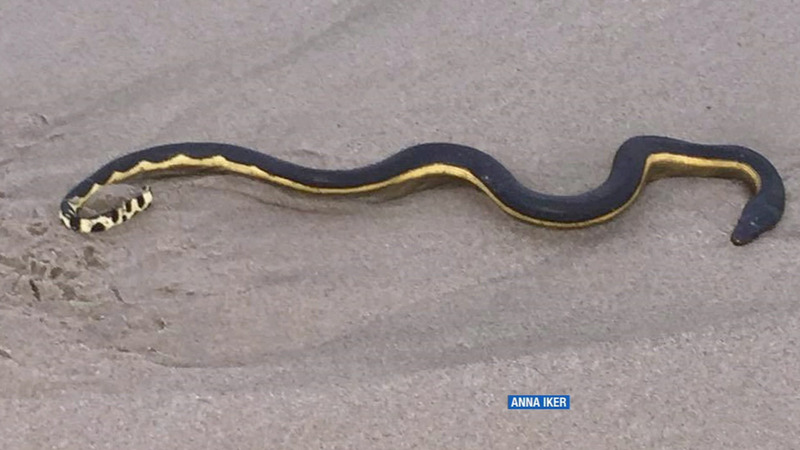 It's believed to be a yellow-bellied sea snake, and officials were investigating.